Here in the Pacific Northwest raincoats are just part of the uniform. I know some people would never put a coat on a dog, but what dog would want to be wet? Definitely not Deedle. She is cold most of the time, anyway, and all this rain just isn’t what this African pooch signed on for. So, she gets to wear a coat. We got her a great coat a few years ago, but it is starting to get worn out, and it isn’t completely waterproof. I cheated and just copied that coat to make this one. I used some leftover exoskin from my stash and used fold-over elastic for the raw edges. Easy peasy. It is not as toasty as Deedle might like, but it is just fine for the mizzly weather. Someone commented that she looked like she was wearing a spacesuit. 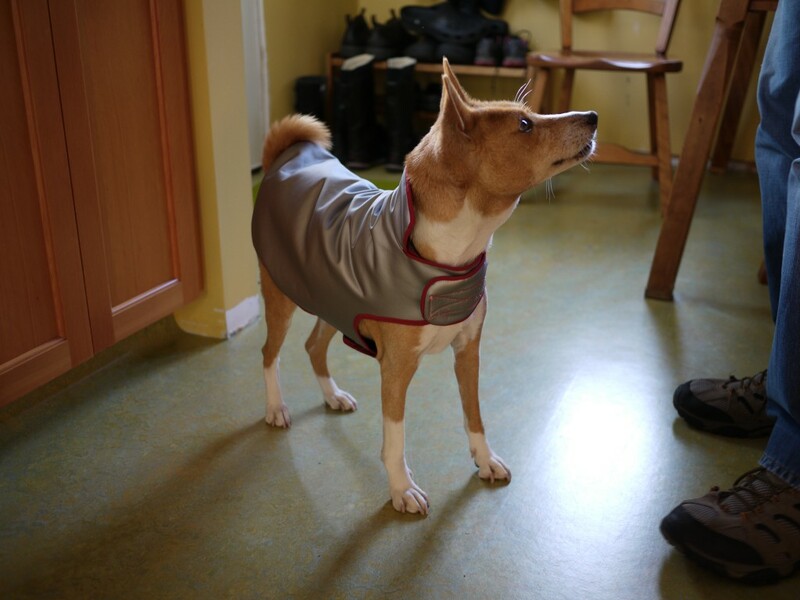 This entry was posted in basenji, sewing and tagged basenji, deedle, dog raincoat, raincoat. Bookmark the permalink. I like it, it looks perfect for the cool rainy weather! All he needs is a hood. 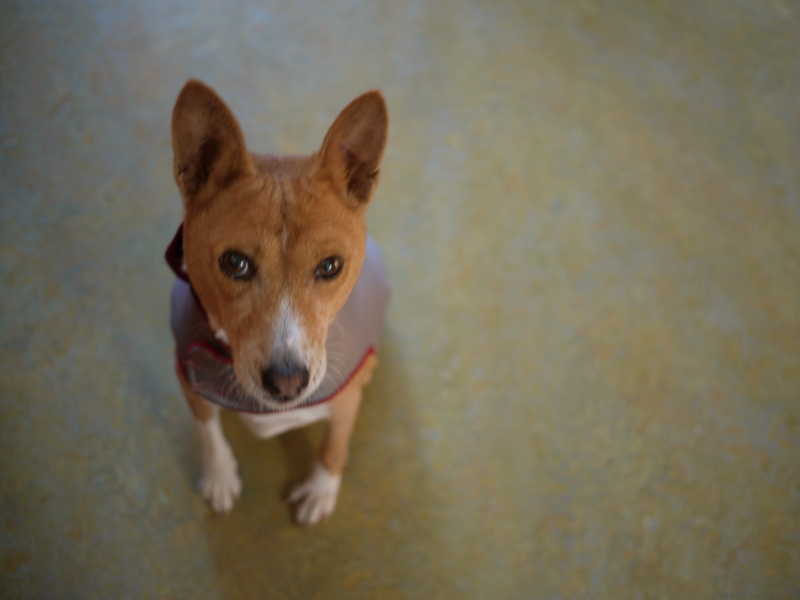 Deedle looks pretty smashing in her coat. We have a rain coat for Victor, but his barrel chest means it is just not a great fit. So, we have towels handy for the inevitable shake off. She looks just like Laika, the space dog FOR SURE! I love Deedle’s new coat!! It does look like a spacesuit–she just needs a helmet. She looks very space age and futuristic! Our new girl, Ava, hates the cold, damp and wet. She’s not too impressed with our crappy cold Saskatchewan weather so far. Glad to see Deedle. Looking good! Our dog Okey wears a sweater. We’re down to the 50’s in the mornings and he got a hair cut before winter because he needed one. No, I did not knit the sweater. The one of Deedles looking straight into the camera is the Cutest. Picture. Ever.